This week saw a wet and miserable bank holiday, my return to school, the start of the children’s new school year and Mr S on holiday to help us with childcare and to join me in settling the children in their new classrooms. Mr S also came up with the inspired idea to go to the dogs on Tuesday night which was a superb way to end the holidays. With the start of the academic year, my reading this week has been work related, latest government guidelines, curriculum changes, new strategies, newsletters from education organisations, textbooks for a TA course I’m developing, research for my lesson planning. I do love my job so this is not as arduous as it may seem. 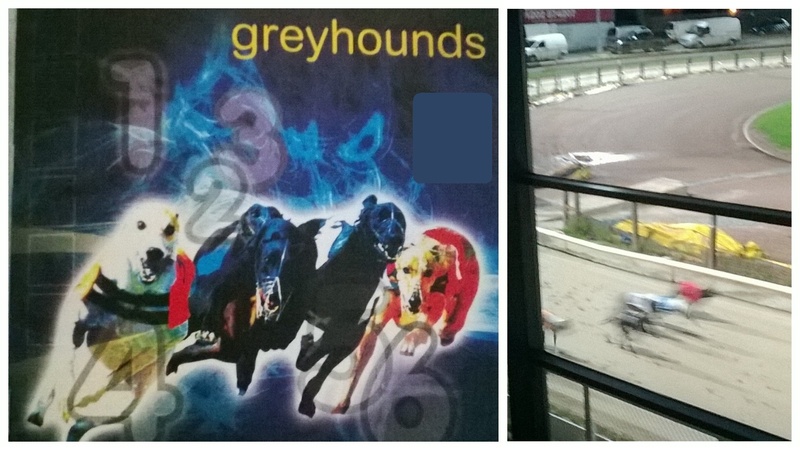 The only other thing I read was the programme for the greyhound meet. I read the form and tips, but I do tend to choose my dogs by their name! On Tuesday night, following Mr S’ suggestion, we went to the greyhounds for a meal and to watch the races to celebrate the end of the holiday, it was a brilliant idea to finish on a high. I only allowed the children to go as they would have a day to recover before school on Thursday, however I was out on a school night, what a rebel! The children loved the experience and it was great fun. Little Miss made some great predictions and after giving me her dog’s name or colour, I placed a £1 bet on each race for her, these bets won £23 and she was so excited watching her dogs win. So, she didn’t get taken by the betting bug, the winnings were shared between us all. Little Man was not so lucky, even with a namesake dog in one race, but he still managed to predict the winner from one race so left happy. This holiday has been full of new activities, the children are now at an age where they are able to do lots more with us and this has given lots of new experiences for the Summer. Again, not much to report this week, no new music and I’ve not had much opportunity to listen to the radio. On Bank Holiday Monday when I was cleaning the kitchen cupboards ( what a rock’n’roll life I lead) I did listen to some of the Beatles / Elvis countdown on the radio, the Beatles did write some beautiful songs and it was a nice soundtrack to my job. As a B side, this was not played on the show I listened to but it is one of my favourite Beatles tracks and I’ll take any excuse to show it. 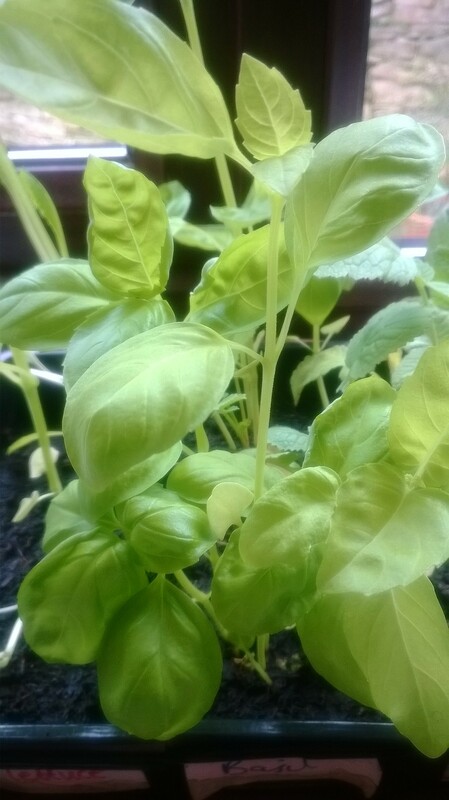 Our produce in the garden is ripening now and this week I’ve been cooking with home grown ingredients. Our tomatoes have been used to enhance a ratatouille, in an omelette and Little Miss’ basil has added flavour too. We also made a caramel apple crumble using the fruit from our tree. 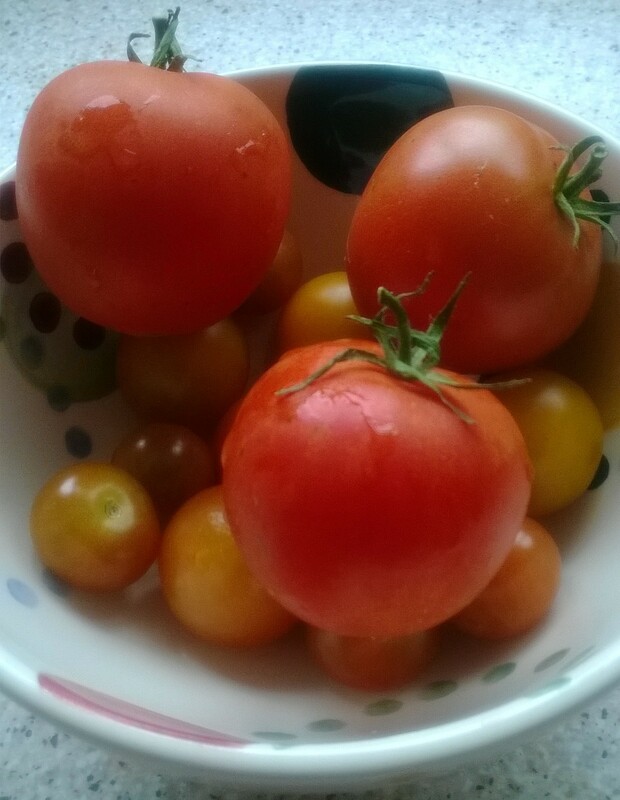 I love using our home grown produce and I’m looking for new recipes to try to use our glut of tomatoes and apples. 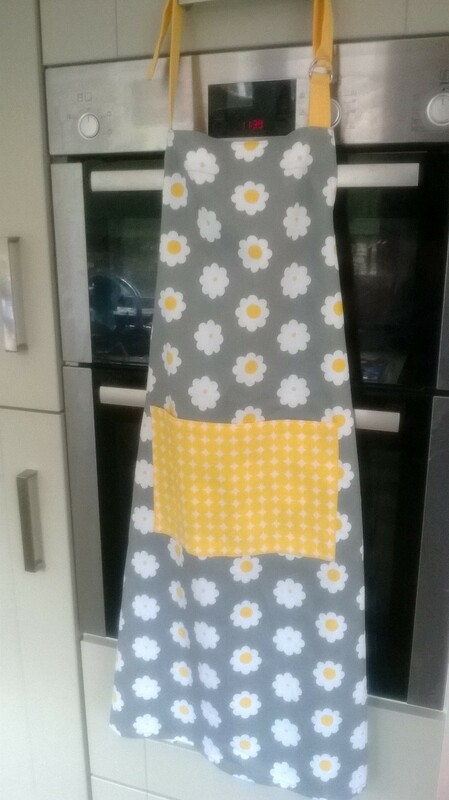 With all the home cooking, I have been wearing my daisy pinny which I love for its colours and big pocket on the front. I’ve also worn a coconut face mask, my little treat today. After dropping off the children at school, I went for a run and then came back and had a warm bubble bath in peace with lots of little pampering treats. Whilst we are back in the school routine now, September is a great month for local events and we’re looking forward to this weekend for a huge county show. It means an early start to avoid all the traffic but its worth it for the brilliant day out. The Summer holidays may be over but there are always opportunities to add a few sparkles to the days.